Summer is coming... or so they say. For in the eternal dusk of The Realm of the Entity, temperatures drop very fast as you wander the Fog pursued by cold-minded killers. Still, there's no reason to drop your style. Even the most fashionable outfit isn't complete without the perfect hairstyle or accessory. However as fabulous as you look, your stylish new looks are unlikely to protect you. 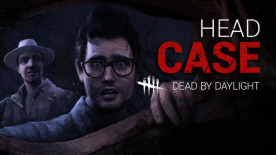 Well-groomed survivors make for well-groomed corpses. After all, who wouldn't want to look their best for this very special day? Requires Dead by Daylight (base game) to use this DLC.